Amplify your employment brand and distribute your jobs to the social web, attracting eager applicants. Prepare your transitioning employees for their next career step and protect the brand you've worked so hard to build. 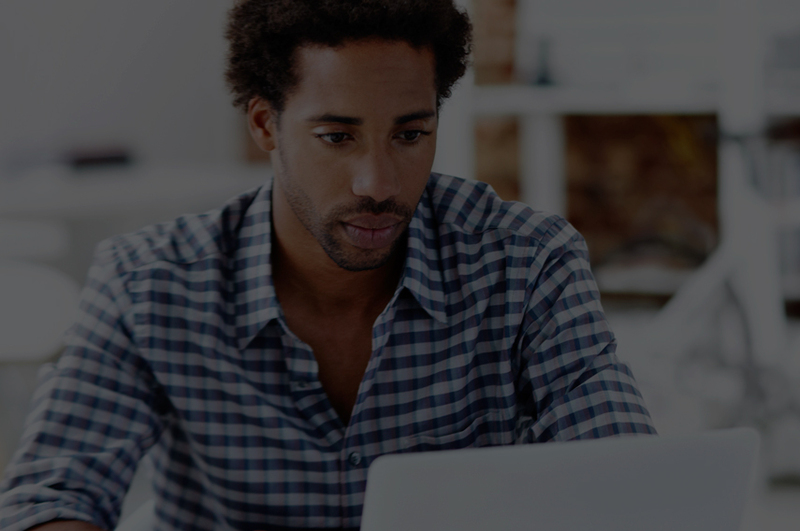 Our SaaS solutions solve critical issues at both ends of employment. The core strengths of our technology are integrated within CareerArc Social Recruiting and CareerArc Outplacement. 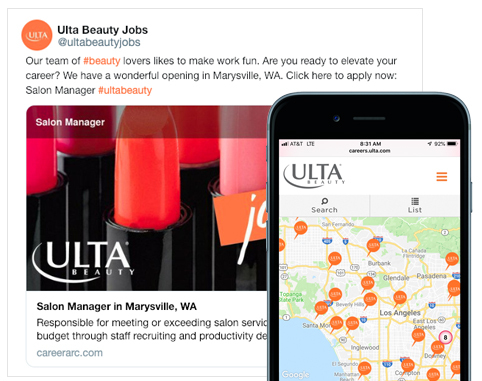 Both solutions leverage our proprietary social media applications, integrations, and partnerships to seamlessley extend the reach of employer job distribution, and help companies connect with talent. Our solutions have earned top marks in development, delivery, and customer service. Hear what our clients and community are saying about our service. Our solutions rest above a powerful jobs engine and distribution network that allows employers to quickly post job openings on the social and mobile web, as well as instantly connect their transitioning employees to millions of jobs. 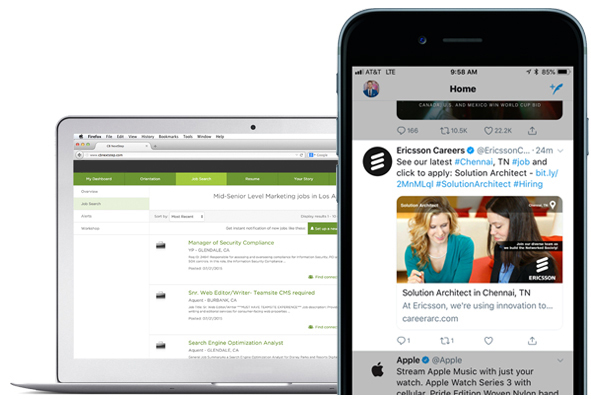 As the only company to offer both social recruiting and outplacement SaaS solutions, CareerArc uniquely manages the two most crucial touchpoints in employment where employer brand is most tested and scrutinized. Together, our solutions give companies the necessary tools to amplify and protect their employer brand.